We are today happy to announce that we have signed a full worldwide distribution agreement with Plugivery.com. Plugivery will therefore distribute the complete line of P&M products and make sure they are available at your preferred music store. Plugivery provides clear product descriptions, OS compatibility and requirements, the latest updates and their download links, Manufacturer's videos, product information tweets and much more useful content. Plugivery also lists hundreds of music stores around the world which will make it easier for you to find and purchase any of our products. The concept is very simple: Let's Have Fun Re-Mixing DJ Colette hit song "We Feel so Hot". Listen to the cool mixes already posted by users on SoundCloud ! Everyone that participates will win a FREE P&M Plug-in and a FREE video tutorial from Puremix.net ! To participate, you must login (or register) to our forums. You will then have access to the private Mixing Contest thread where you will find further information as well as hot audio tracks to download and use for your own personal mix. Next step : Once registered to our forums, you will have access to the private Mixing Contest thread where you will find further information as well as hot audio tracks to download and use for your own personal mix. During the Re-Mixing Contest that will end on February 17, The Plug&Mix V.I.P Bundle will be sold at promoted price of ONLY $179 (MSRP $299). That is ONLY $4.48 per Plug-in ! We are proud to announce that all 40 Plug & Mix Plug-ins are now ready for Pro Tools 10.3.6 and Pro Tools 11. Unfortunately, the PC version is giving us a hard time but it should be ready in the next days. This update is FREE of charge and simply brings compatibility for Pro Tools 10.3.6 and Pro Tools 11. - Mac OS 10.6.8 and over. When was the last time you bit crushed? It's a very particular, distinct, and often abused effect that can add an unique color to mixes just as easily as it can rip your listeners' ears off. Dear Friends, We're listening to you ! We weighed up all the opinions and so we started working on new products and we decided to lower the V.I.P. Bundle SRP Price (Suggested Retail Price) at $299 with a special MAP price at $249. 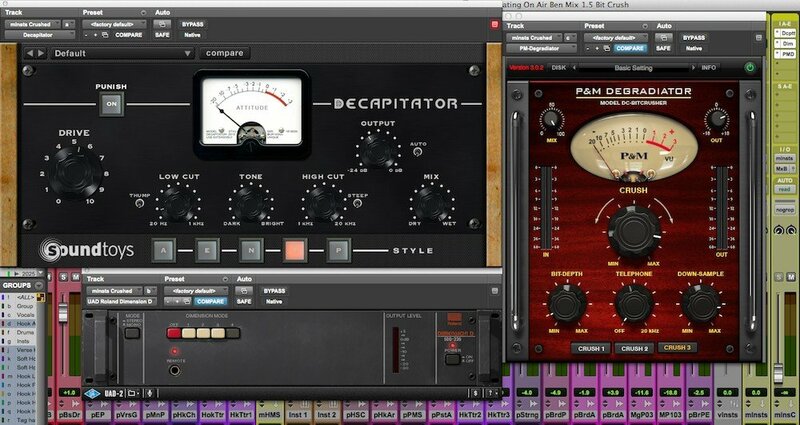 We also adjusted all individual plug-ins at ONLY $49 (MAP $39). Thank you all for your great support and the amazing feedback !